The plugin for Joomla articles is available and free. 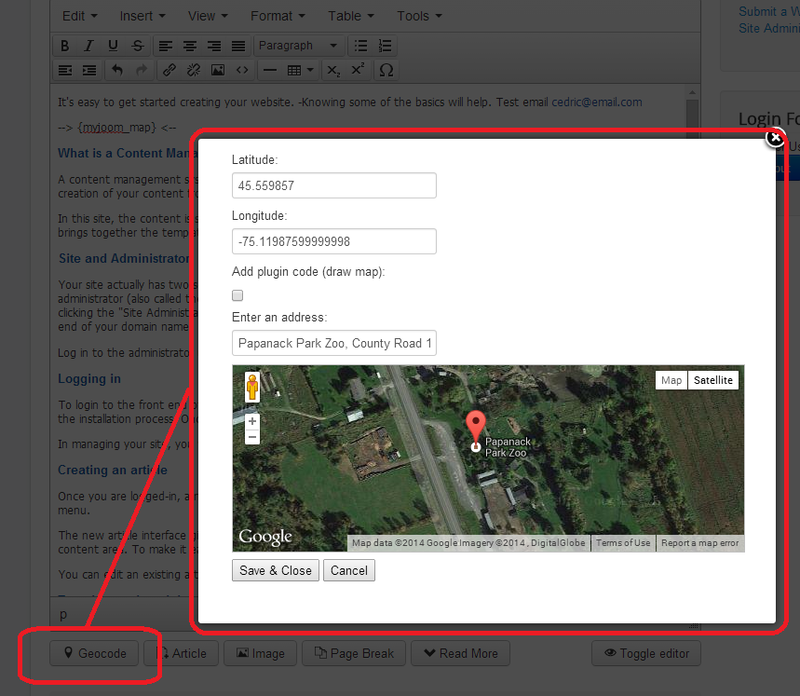 You can mix the markers from Joomla articles with all other Geocode Factory markers types. This case study is just a sample, it's not a tutorial or documentation. You can do many other usage with this plugin. To good understand this, it's advised to read the Geocode Factory 5 main documentation. Imagine a Joomla! site that displays tourist spots in a country. There will be a section named Spots, and 3 categories named : Zoos, Monuments and Sports. 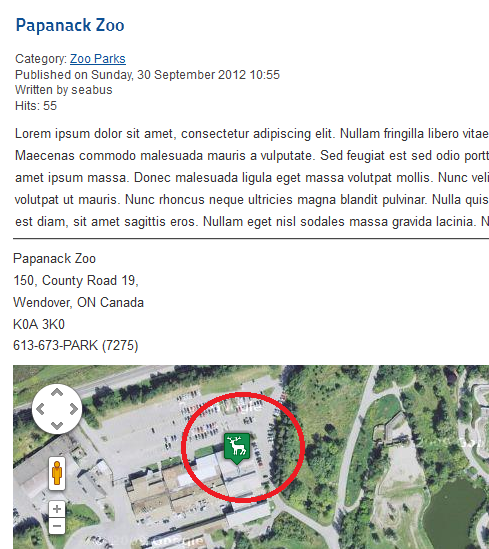 In each category you have several articles for each park. Now, each article describe the place with several text and images. save your article at least one time (to allow Joomla to assign it an ID). And now, simply click on the geocode button and pick a point on the map, or enter an address (by default your browser location is used). You can also check the 'insert map' box, then a plugin code is inserted in the article, and depending the plugin setting, it will display a Geocode Factory map, or a static image map. 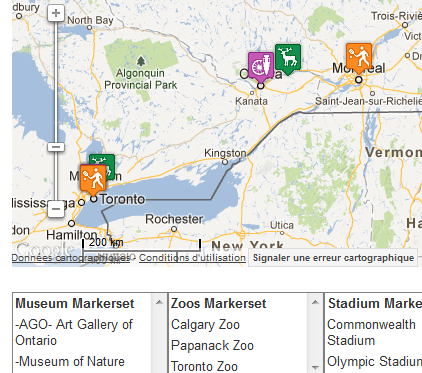 Zoos, Monuments and Sports markersets : 3 markersets linked with "main map", each markerset has its own icon (zoo, monument, sport), and detailled bubble, each is based on hes category. On main page of site, there is the big general map, that contains all markers on the same map (zoos, ...), and a selector for each type, and when user go on different articles, he see the current map.